In fact, the Merak jacket which is also available in a female version represents an urban design that fits effortlessly within a city environment but it is also perfect to accompany a rider on every journey, be it a trip to the mountains or to the coast. The new Hevik motorcycle jacket made of high-tenacity nylon making it resistant to abrasion is designed to facilitate the passage of air flow, ensuring maximum comfort even during the hottest days. Ventilation is provided by the mesh areas on the chest, rear and interior of the sleeves. The strap adjustments on the sides, on the sleeves and also at the cuffs help to make the Merak jacket even more comfortable. It is also equipped with an internal waterproof pocket, useful for essential items such as a wallet or cell phone. In terms of passive safety the Merak includes approved protectors on the shoulders and elbows and a specific rear pocket for the optional back protector. 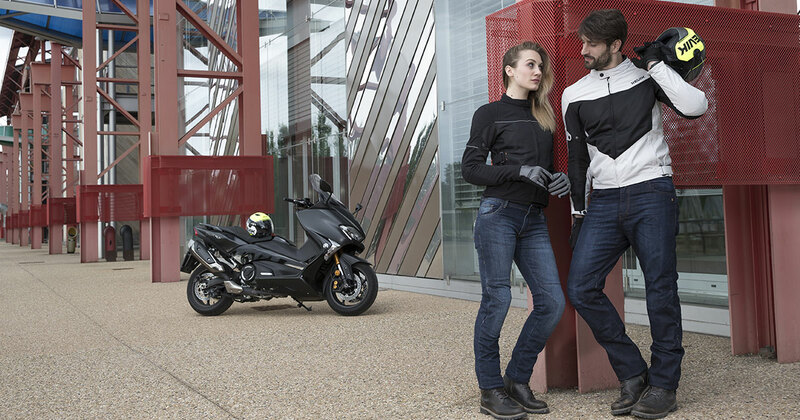 Safety does not mean sacrificing style and a sporty but refined look, even in respect of motorcycle clothing. Discover the new Merak jacket. Join the Hevik #MOTOREBOOT revolution!